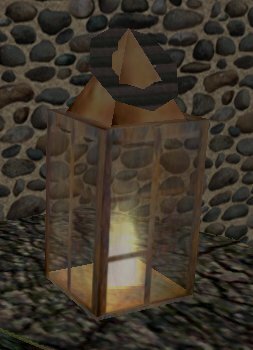 This pack includes an old-style lantern with a v4 Particle as the flame. People without V4 rights can modify this to use a normal flame. Place the base object where you want the center of the lantern to be. Not recommended for low thickness tables, as there is a bit of stick-out underneath.